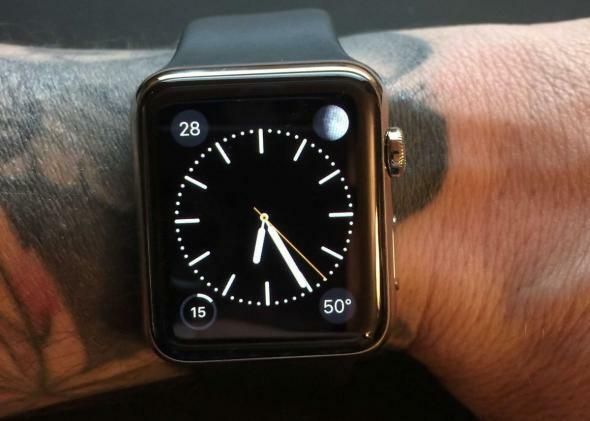 Tattoogate: Apple Watch doesn't work for those with wrist tattoos. Users with wrist tattoos: Watch out! Now that the Apple Watch has arrived, some buyers are reporting that the high-end smartwatch doesn’t work properly if they have wrist tattoos. Normally, the Apple Watch can automatically detect whether it is on your wrist. This means users do not have to enter a password every time they put it on. But the ink in tattoos appears to interfere with Apple Watch’s infrared sensors that enable wrist detection. These sensors also give users access to heartbeat-tracking capabilities and Apple Pay, so wrist tattoos may obstruct those features as well. Big, block dark colors are most problematic, while the Apple Watch can deal with lighter shades just fine. People with darker skin tones will not have issues, though, because “natural skin pigmentation doesn’t block light the same way artificial ink pigment or even scar tissue does,” iMore writes. There is a workaround. Apple Watch users can turn off wrist detection so they don’t need to enter a passcode at all. But doing so makes their device less secure. Apple has had issues during new product launches before—notably with “Bendgate.” After the release of the iPhone 6 and 6 Plus, some users reported that their new devices were accidentally bending while in their pockets.